This one's for the newbies. Okay, you're curious. You want to know more about this Pulp thing the cool kids are talking about. So, your first question is "Where can I find this stuff?" Your second question is "What am I looking for?" You're fortunate to be alive at a time when written and audio-visual media are ubiquitous and often cheap or free, and a lot of the early Pulp stuff is online- and more of it with each passing year. So, what you need is an Internet connection that isn't worthless and a couple of places to start looking. Amazon: Nevermind if you're a Prime member or not. You should take advantage of the massive library of free books available for the Kindle. You don't need to use the Kindle reader app, or a Kindle device, if you're willing and able to convert the file to another format. Furthermore, if you do have a Kinder reader you can get books in that format elsewhere and email them to your reader. Want to get a free, legal copy of Tarzan of the Apes for your reader? There you go. The Library: A lot of the classics are in your local library system. If you don't have a card, get one. Then set up an account with the library's online site, and request pull orders for what you want. (My mother does this, and she reads up to a dozen books a week without spending a penny.) You can get print books easy this way, and many now also offer video (DVD, usually) and e-book media also. You're already supporting the library via taxation, so make use of it. You're new, and you're unlikely to have read anything before 1980 unless it got pushed on you in school. 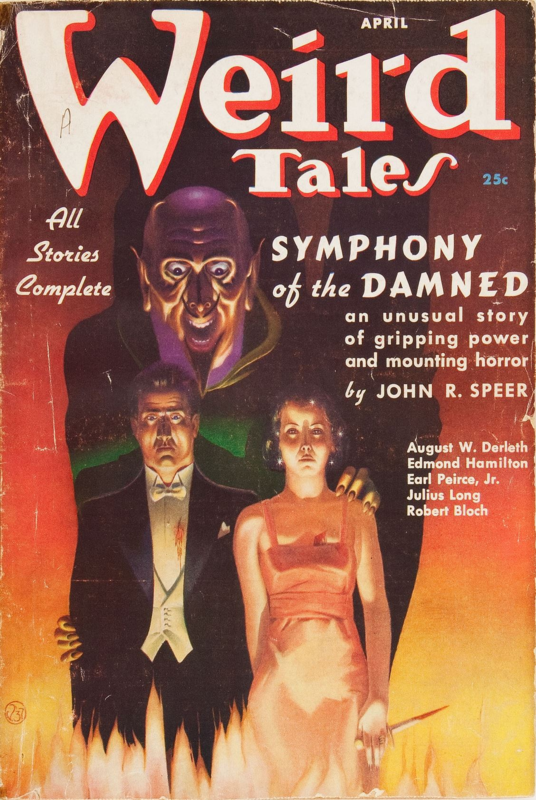 The oldest pulp literature is in the Public Domain now, which is why copies are easy to find (and often free in e-book form), and a lot of other pulp classics are sufficiently popular to remain in library circulations. (Yes, these days that also means likely to be pirated also, but that's not what I'm talking about here.) I'm going to recommend what are obvious classics to us; this is by no means an exhaustive list. Edgar Rice Burroughs: A Princess of Mars and Tarzan of the Apes are the first books in both classic series. If e-books aren't your thing, print copies are not that hard to find and often very cheap. Avoid ALL film/TV adaptations. Yes, including the ones critically acclaimed; as with Howard's Conan, Burroughs' Tarzan and John Carter are NOT what film/TV versions show you- they're better, and you will be surprised at how wrong those adaptations got these characters and their stories. Robert E. Howard: You know him as the man behind Conan, so the Del Ray volumes collecting all of Conan stories is where you want to start: The Coming of Conan the Cimmerian , The Bloody Crown of Conan , The Coming of Conan the Cimmerian . After those, if you're still game, get the non-Conan volumes on Kull of Atlantis, Solomon Kane, Bran Mac Morn, El Borak, and several others rooted in his historical fiction adventures. Dark Horse's comic adaptations are not bad, but you miss the magic of Howard's prose- which is superior to the comic in every way. Edward E. "Doc" Smith: This is the man that invented Space Opera, powered armor/giant robots, and all of the other things that would become or inspire Star Trek , Star Wars , Green Lantern , Space Battleship Yamato and more succeeding classics both in the East and in the West. Start with the Lensman series, and read them in order of publication, which means skipping books #1 and #2 (written or re-written to fit after the fact) and going to #3 right away: Galactic Patrol . Walter B. Gibson (as Maxwell Grant): This is the man who invented The Shadow , the character that defined the term "Mystery Man" and would lead to many imitators in many media. He was--as Razorfist spent two videos explaining--once the King of All Media, something none of his successors or peers anywhere in the world have ever equalled. You have to look at the Gundam or Macross franchises in the East, or Star Wars in the West, to find comparable media dominance- and they fall short. His old pulp novels (slim, quick reads one and all) are reprinted in double or triple-length volumes now. Nevermind the comic volumes. Still intrigued? Go watch Razorfist's videos, and follow his recommendations. There you go, plenty to get your started. If you're still wanting more, come back and we'll be glad to point to you other classics, hidden gems, and missing masterpieces that will turn your curiosity into a full blown fandom- and, maybe, even get you wanting to pick up the pen and write your own. Now, get out your library card and go get some classics from the stacks! We'll be here for you when you're done. Another source is librivox.org, for free audio versions of older books in the public domain. While working in the garden, I've been able to catch several classics like Tarzan of the Apes that I probably wouldn't have made time to sit down and read. I've started reading a few of Dark Horse Comics adaptations of Howard's Conan stories. I loved them very much, so I decided to buy the Del Rey editions and read the Conan adventures the way Howard wrote them. Never looked back since. Howard's prose is magnificent, and his stories are a lot of fun, and insightful without being preachy and pretentious(which is impossible these days apparently). A lot of people say that it is the comics where Conan is at his best, but I respectfully disagree; Howard's stories need to be read in their raw, unaltered forms. I completely agree with you here. I initially ignored Edgar Rice Burroughs' Tarzan, thinking "what the hell Tarzan? These are for kids and the simple-minded, give me sofisticated and mature stuff like Planet of the Apes! *barf*", glad I got over that mentality. Extremely entertaining stories. I'll be starting the Lensman series as well, since I've read very little science fiction in my life, and what better way to start then from the pulps? Great site, btw. Really loving all that you write and the unpretentiousness.